Basis is a startup which aims to revolutionize the heath and fitness industry, offering a unique wrist monitor which tracks activity levels, caloric burn and sleep patterns. The hardware connects seamlessly to a social online tracking application, making Basis one of the most innovative products in the industry since the launch of Nike Plus. Today we are lucky enough to have the founder of Basis, Nadeem Kassam, on The Startup Project. The unique story behind creating and launching a hardware-based startup (as opposed to exclusively software) is comparatively unknown in the world of modern entrepreneurship. Can you share the story behind designing and manufacturing the product? This product is over six years in the making and I had no idea how complex it was going to be to develop a hardware product. I persevered through the long R&D phase as I just felt it was so necessary to bring this technology to the world. I have learned that hardware is just somuch more complex to build. You need a lot of time and people from a variety of fields: electrical and mechanical engineers, offshore prototype development, firmware programmers and software engineers to make all that data available in a compelling format. I have been fighting weight loss issues ever since I moved from Africa to North America as an early teenager, and this was the type of tool I really wanted. The type of tool that can passively collect my body metrics and give me data and actionable steps to improve my wellness each and everyday. By making it social and rewarding we can make wellness fun. We are proud to have built the world’s first connected heart rate and health tracker wearable on the wrist. The multi-sensor Basis B1 band continuously collects data like heart rate, calories burned, physical activity and sleep patterns. It links to a personal online dashboard where users can easily view performance, share data, earn rewards, and engage with the Basis community. Basis has received funding from Norwest Venture Partners and DCM, can you describe the process behind acquiring that funding? What advice can you offer to fellow entrepreneurs looking for investors? Like many startups, we met with lots of different venture firms in our search for a team that believed in what we were doing and felt “right.” I ran into Tim Chang at the Summit Series Miami conference a couple of years ago. He was at Norwest Venture Partners – and we hit it off immediately. At that time, I was the only full-time person at Basis so Tim and I stayed in close touch while I made some key hires and progressed our product development. Then earlier this year, I met Jason Krikorian from DCM at CES. I’ve always admired hisexperience and track record at Sling Media. By then, we were at a point where it made sense to raise significant funds to bring the Basis band to market and in March we announced a $9 million round from Norwest and DCM. My main advice to entrepreneurs is to identify a rockstar team when speaking with VC’s. Describe your dream team as VC’s canhelp you get to those types of people. 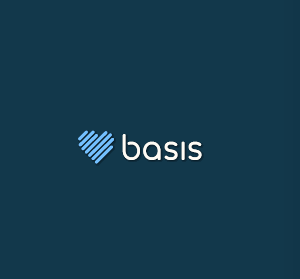 You have formed a fantastic team of talented people at Basis – how did you approach hiring for the company? Thank you. We are really proud of the team we have assembled. We very deliberately sought the best talent to represent all the different elements that we have brought together in the Basis band. Ourteam hails from companies like EA, Google Health, Flip, to name but a few. It is widely known that attracting top tier talent in the Bay Area is no easy feat with companies like Facebook, Apple and Google to compete with. At Basis we have a higher mission to help people become more well. That vision, our technology and the current team members are very attractive to top tiertalent that are looking do something meaningful with their careers. Basis will soon be launching – how are you preparing for that? Everyone here is busy! We revealed the final design of the Basis B1 band in September at Health 2.0, a conference that took place in San Francisco, and our CEO, Jef Holove, will be demoing at MIT’s technology conference, emtech, in a couple of weeks. Watch this space for more details on launch plans. We’ve recently announced the appointment of an advisory board that includes medical, social and gaming luminaries like Kevin Colleran, long-time executive at Facebook and one of its first ten employees; Kai and Charles Huang, co-founders of RedOctane and creators of Guitar Hero; Patrick McGill, global corporate development, media and entertainment specialist; Daniel Kraft, MD, a Stanford and Harvard trained physician and innovator who chairs the Medicine track for Singularity University and its FutureMed Program; and Jeff Rosenthal along with his co-founders of entrepreneur organization Summit Series. What advice can you offer to fellow entrepreneurs looking to launch a startup? Ideas are a commodity, too many people have them. True entrepreneurs are relentless implementers. My advice is to not sit on your ideas, act on them! Surround yourself with talent and feed from their creativity and energy. Failure is good as at least you tried and probably learned valuable lessons for your next venture. Do not be afraid to fail and embrace change. Do not be afraid to pivot your business as you learn from the market and customers you want to attract. Be a visionary while paying attention todetail as you chase your passions and dreams. Right now I am living my dream and appreciating it everyday! !